The fascinating world of yachting is captured in all its glory in this compact 612mm long yacht created. Scale parts and pre-painted figures adorn the deck so this model can also take pride of place as an interior display. 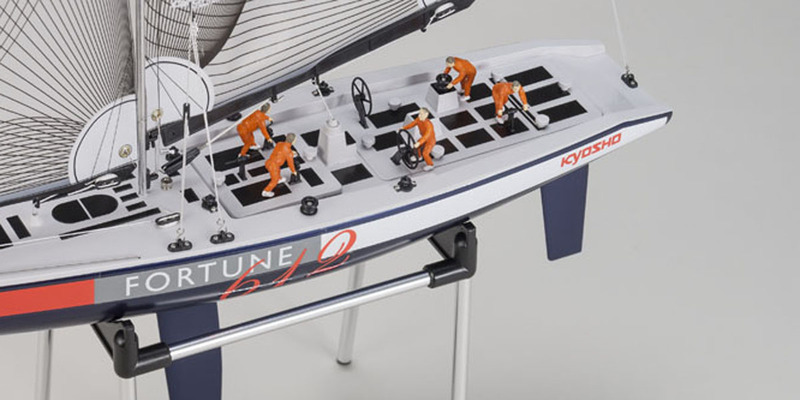 But it is more at home on the water where no compromise has been made in the full application of Kyosho's renowned yacht design skills. Sail shape and aspect ratio combine with the precision hull and keel design to generate efficient power through the water as the wind fills the sails for scale performance more than equal to full size yachts. The bright color-printed sails are created in PE material with optimal elasticity, durability and permeability to produce real racing yacht performance. 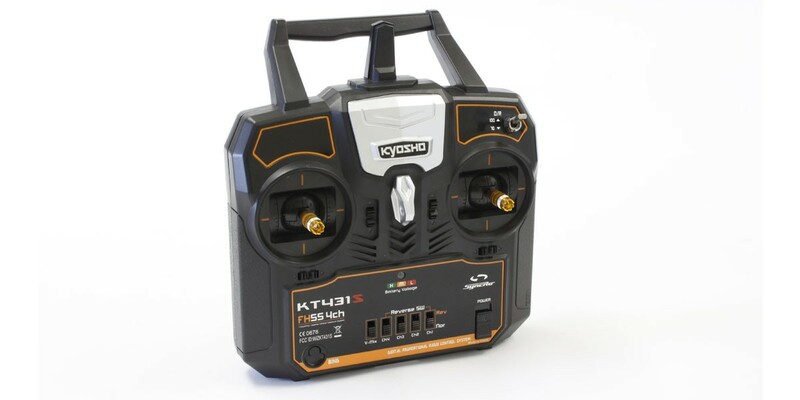 A 2.4GHz R/C system provides interference-free control of the pre-assembled and pre-painted hull so you can start sailing almost as soon as you take it out of the box. 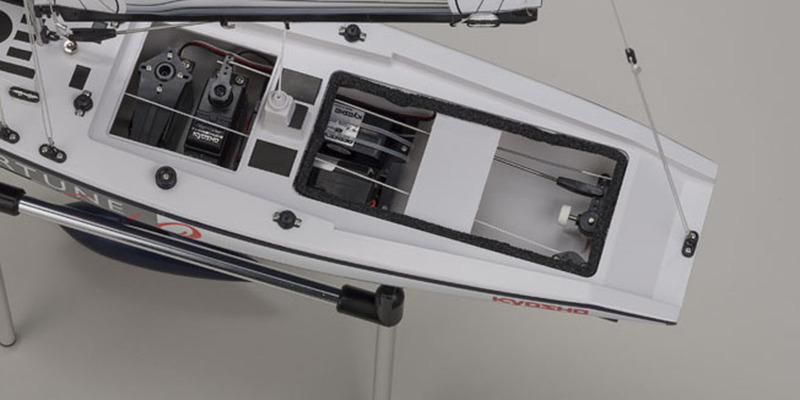 Separate structure of the rudder and keel make transport easy and convenient. Discover the fascinating experience of yacht racing, made ready and real for you to enjoy with the FORTUNE 612II. â? ?Pre-painted and assembled hull produces a high quality finish. Ready to start sailing almost straight out of the box. â? ?Printed PE (polythene) material creates a vivid and high durability sail. â? ?Lead-free ballast is environmentally friendly. â? ?Mast, keel and rudder can be removed without any tools for easy, compact transportation. â? ?Bulb keel generates less resistance and realizes optimal control feel. Scale realism is enhanced with 5 pre-painted figures and a variety of accessory parts. 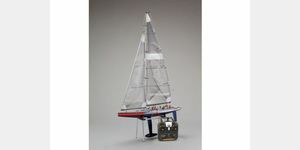 Aluminum boat stand included can also be used to create a stylish display.